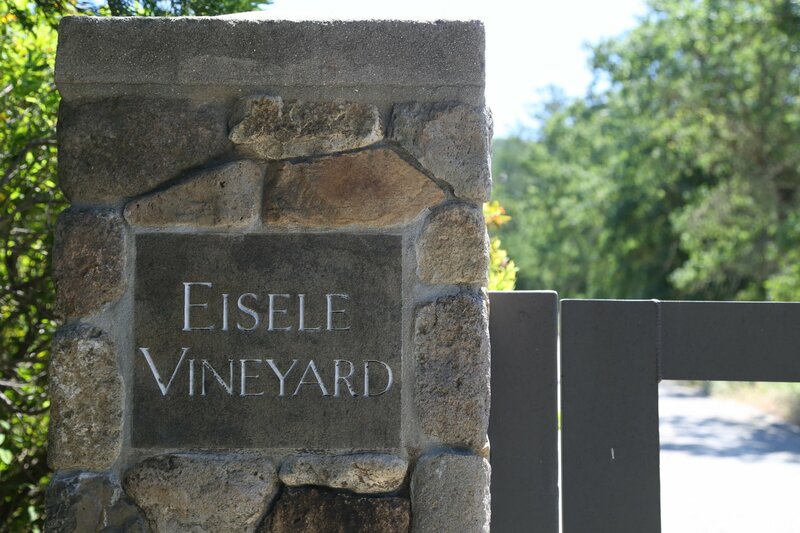 Eisele Vineyard Estate was founded in 1990 by Bart and Daphne Araujo. 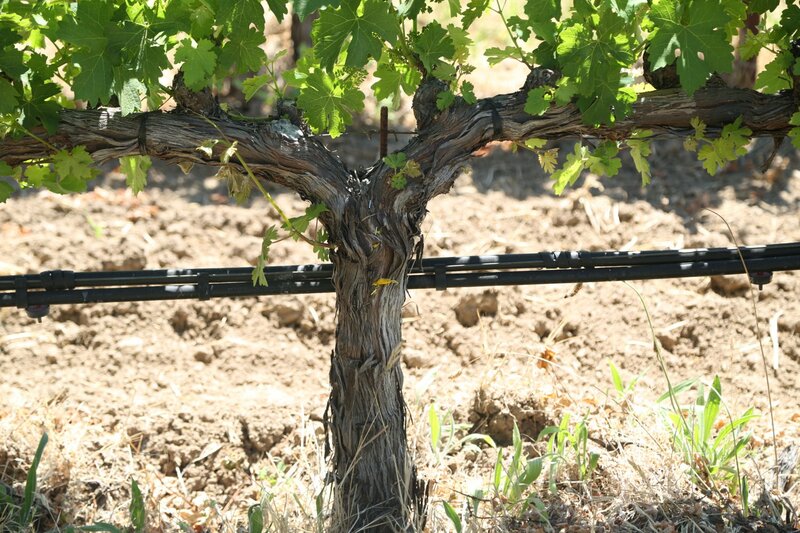 While the Araujo’s were new to the valley from Southern California, their vineyard was not. 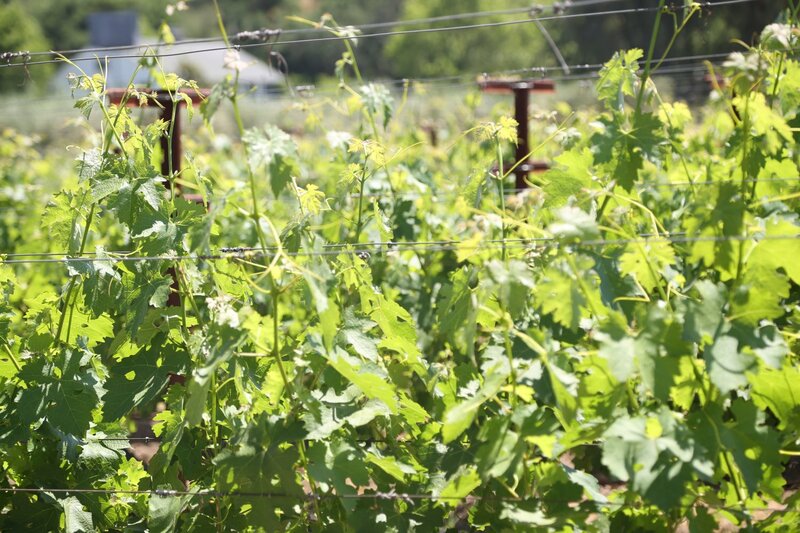 The historical Eisele vineyard had been producing quality fruit for a number of wineries including Joseph Phelps and Conn Creek and in fact was the source for a 1971 Ridge Cabernet Sauvignon – one of California’s earliest vineyard designated wines. The Eisele Vineyard was first planted to grapes in the 1880’s – at that time it was Zinfandel and Riesling. Riesling has nearly vanished from this part of the valley while there are still a number of old vine head pruned zinfandel vineyards in the Calistoga Appellation. These varietals are no longer are planted in the vineyard; Cabernet Sauvignon was first planted here in 1964. If you walk the vineyard you can find rocks – although not nearly as many today as there used to be. 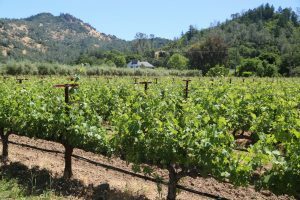 The vineyard is fairly flat but lies at the lower part of an impressive rocky part of the Palisade’s – a series of jagged rock outcrops that form this part of the Vaca mountain range in the northern Napa Valley. Over time water and wind and gravity has moved sediments and rock from the mountains into an alluvial fan which spreads out and encompasses not only the Eisele vineyard but the other vineyards in this small side valley. All wines under the Araujo label are from this vineyard – today 75% of the vineyard is planted to Cabernet Sauvignon Cabernet Franc, Petit Verdot and Merlot (all of which are used to form their flagship Cabernet Sauvignon) with smaller blocks of Syrah, Sauvignon Blanc and Viognier. Bart is a native of San Francisco and after college moved to Los Angeles and founded a successful home construction company. 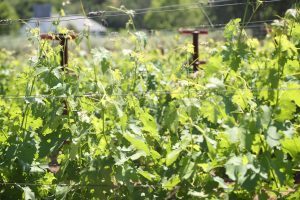 Upon selling their company, the Araujo’s began their search for vineyard property specifically in Napa. 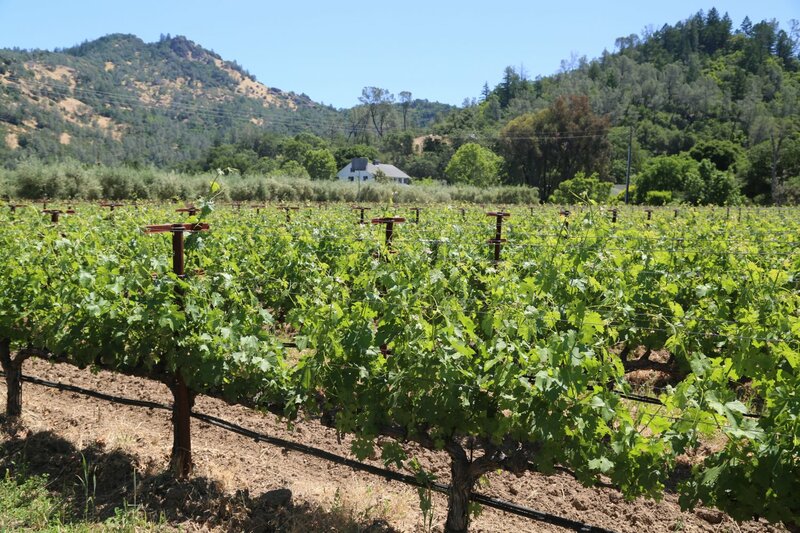 The Eisele Vineyard was for sale by its owners and namesake, Milt and Barbara Eisele – and was offered to Joseph Phelps who had already made a number of vintages from the property. As it were, he was busy with his own winery and vineyards and declined the offer. The Araujos had enlisted the help of a local real estate agent, Jean Philips (founder of Screaming Eagle) and had instructed her to offer them any well-known vineyard properties as they came on the market. The entire property is 162 acres of which 38 are planted to vine. A winery was built and caves were tunneled into the nearby hillside. Bart describes the magic of this vineyard as producing estate wines that have “weight but without heaviness”. 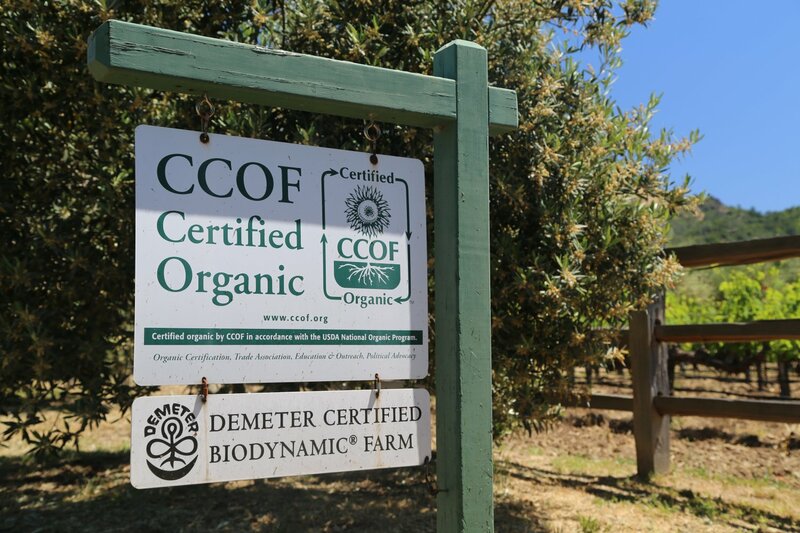 They farm organically and have been certified biodynamic for a number of years. About half of their wine produced annually is the Eisele Vineyard Cabernet Sauvignon. Their second Cabernet is called Altagracia and they also produce a Syrah, a Sauvignon blanc and in some years a small amount of Viognier. In 2013, the winery, property and brand was sold to the Artemis Group, (founded by French businessman François Pinault). This same group also owns the famed First Growth Château Latour in Bordeaux. After the purchase, they changed the name of the winery from Araujo Estate to the Eisele Vineyard (taking the namesake as their actual vineyard). Note: This review requires a significant update – we have toured the winery and Eisele Vineyard – but need a revisit to complete this review.